I hate coming up with an idea to make Mother’s Day special for my mom. Restaurants are crowded and she hates crowds, but cooking at home doesn’t feel special enough. This year, though, I had a secret weapon, a place that I knew would be perfect: Oscar’s Tea Room and Gift Shop in Wilton Manors. I’ve lost track of how many times I’ve been to Oscar’s, but it is now programmed into my phone so I can make a reservation at a moment’s notice. I first heard about it last year and took friends there to celebrate my best friend’s birthday in August. It came very highly recommended—friends said the service was great, the owners were a hoot, and the food was delicious. It surpassed all of those expectations. Oscar’s isn’t only for special occasions; Oscar’s is the special occasion. Proprietors Craig and Kevin are from Stoke-on-Trent, England. Kevin greets guests and Craig prepares the food. Guests are greeted warmly with hugs and kisses, and they’ll remember your name if you’ve been there before. The couple has been together for more than 25 years and named the tea room for their late dog Oscar, who didn’t make it across the pond. 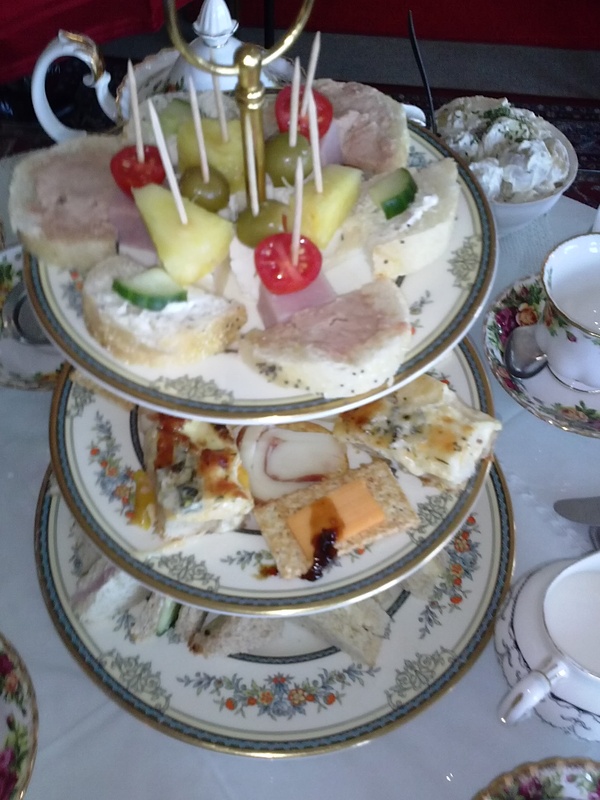 The highlight at Oscar’s is High Tea, a variety of sandwiches and hors d’oeuvres, desserts and tea. It’s $25 per person and it’s worth every cent. Reservations should be made well in advance for weekends and holidays especially, because the room fills up fast. After enjoying the first course, Kevin served my favorite tea, a yummy raspberry and pomegranate—its fruity flavor goes great with dessert. Craig served the dessert tray: Sunday’s selection included a lemon layer cake; Victoria cake; a confection of Rice Krispies, peanut butter, toffee and chocolate; grapes, blackberries, fresh pineapple; plain, apricot and cinnamon scones warm from the oven with butter, clotted cream and jam; and, special for Mother’s Day, chocolate covered strawberries and a chocolate tart. A personal note about the scones: I never understood scones—I always found them dry and crumbly. Then I went to Oscar’s and was served scones with clotted cream and jam. The world of scones suddenly made sense. Oscar’s feeds both your body and your soul. Every bite was delicious, I always leave surprisingly sated—we weren’t hungry for the rest of the day. 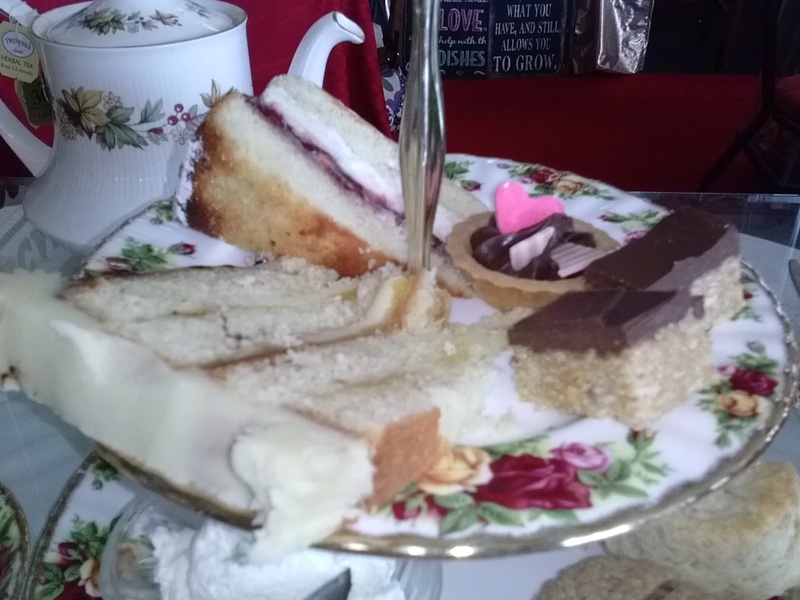 But after our luxurious two hour High Tea, we also left feeling refreshed, relaxed, and stress-free. It’s the food equivalent of a spa day. Kevin and Craig made every moment of our Mother’s Day celebration special. They even decorated the cheery shop with a Mother’s Day balloon at each table, and slipped each mom the gift of a lottery ticket. 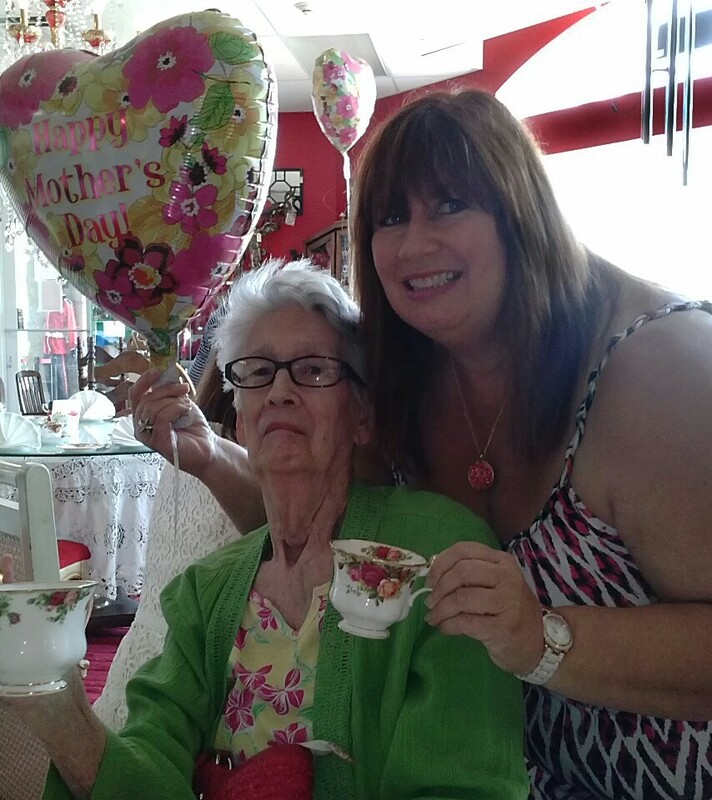 If Mom wins, High Tea is on her, because we’re already looking forward to our next trip to Oscar’s. 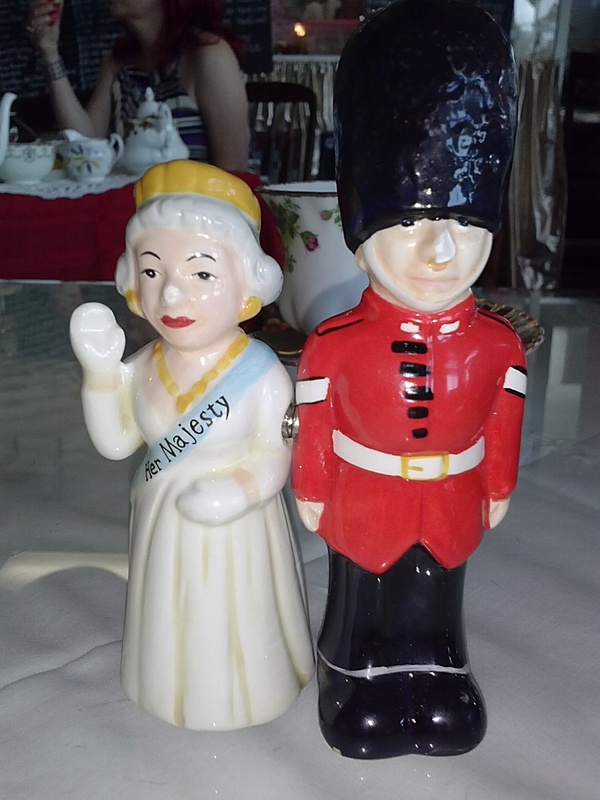 Oscar’s Tea Room and Gift Shop is located at 1201 NE 26th St. in Wilton Manors. Oscar’s is open Wednesday and Thursday, 11 a.m, to 7 p.m.; Friday and Staurday, 11 a.m. to 10 p.m.; and Sunday, 11 a.m. to 6 p.m. For more information and to make reservations, call 954-537-6011.